Shopping for seniors can be a challenge! 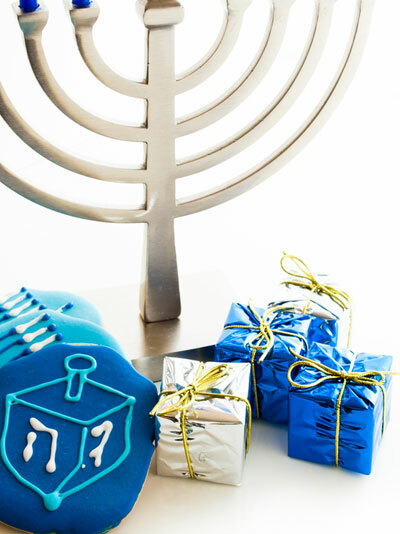 Here are eight MORE great Hanukkah gifts for Bubbe, Zayde, and all of the seniors on your list. Just like our first eight gifts, these thoughtful gifts are fun, promote wellness and family, and fit any budget. Treat your loved one to a meal at their favorite restaurant. Maybe it’s the deli that gets the roast beef just right, or the bakery with fresh hot bagels on Sunday morning. Let them savor their favorite meal and good company. If your loved one’s favorite place is difficult to access, make it a night in with a carry out feast! Staying warm can be difficult during the winter. Soft, warm spa socks are an inexpensive luxury (you can even find them at the dollar store!) and fit under roomy shoes. Sweaters in extra soft fabrics like chenille look as great as they feel! Make it a spa day. Enjoy a day of pampering together with a manicure, pedicure, or facial. Spend time together looking and feeling great! Put a library at their fingertips with an E-reader. For the tech-savvy senior, an e-reader can provide hours of entertainment. Plus, e-readers make it easy to adjust print size and viewing options. Choose a book to read together and discuss. Put a special day with your loved on the calendar. Matinees of classic movies, visits to local museums, and even a scenic drive are all inexpensive ways to spend time together. Plants liven up a space, improve air quality, and have been shown to boost mood and outlook. Low maintenance plants like peace lilies and philodendrons are a great choice. Or, start a container garden together that can go outside in the spring! Framed artwork from the kids. Artwork from grandkids and great-grandkids makes a terrific homemade gift. Rather than cluttering up the front of the fridge, place artwork in an attractive frame with a card from the artist. There is no gift like the gift of your time. During Hanukkah and throughout the year, pick up the phone or stop in “just because.” Knowing they’re cared about and loved is the greatest gift a senior – or anyone – can receive!